Despite all of the fun things we did on this trip to London, the POD might have been the most fun! Our flight back to Sweden was leaving Heathrow around 6 in the morning on Sunday, so we stayed at a hotel by the airport on Saturday night. 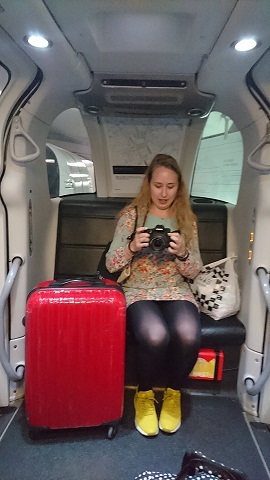 We took the subway out to Heathrow, knowing that our hotel was close to Terminal 5, and from there asked someone what the best way to get to our hotel would be. 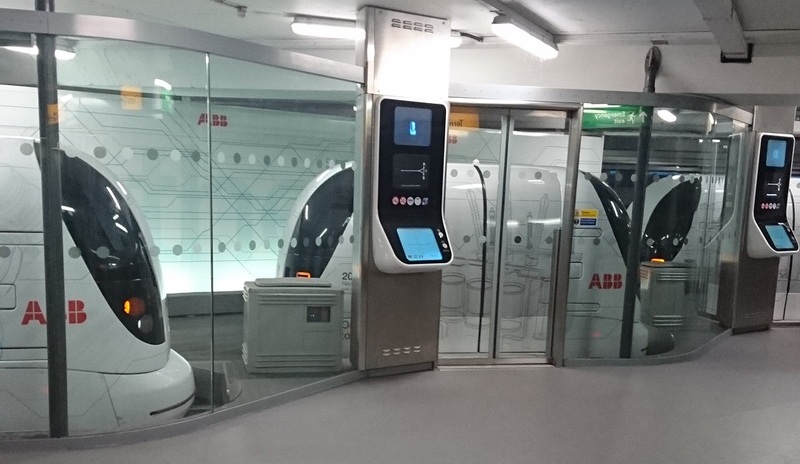 They suggested the elevator up to the POD. We kind of assumed this was the name of a bus or train but it turns out it’s an actual pod. They’re not on tracks like trains. Both sides have seats like the picture to the right, fitting up to four people. And it drives itself between the terminal and a special parking lot. IT DRIVES ITSELF! On it’s own cute little road! I want one of these to take me everywhere! It only took about five minutes and costs five pounds and is incredibly cool!